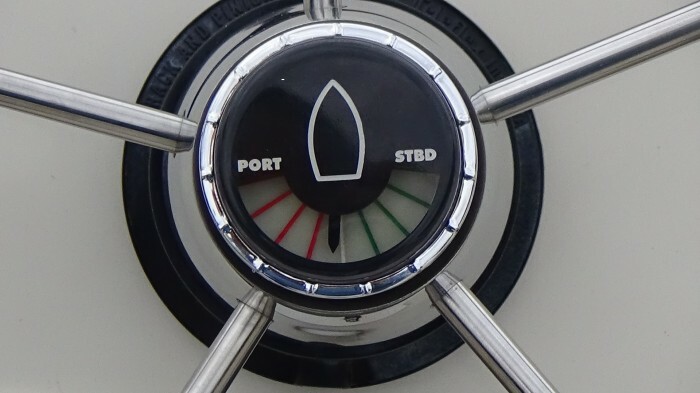 A rudder position indicator that is gravity driven, designed to reduce the opportunity for misalignment, and can be recalibrated without being detached in the event that misalignment occurs. The rudder position indicator includes a gear assembly having an angle indicator and a position indicator assembly that are housed within an indicator case. A dampening fluid is filled within the indicator case as well, and acts to reduce the possibility of misalignment by reducing wobble of the angle indicator as a ship wheel is rotated. 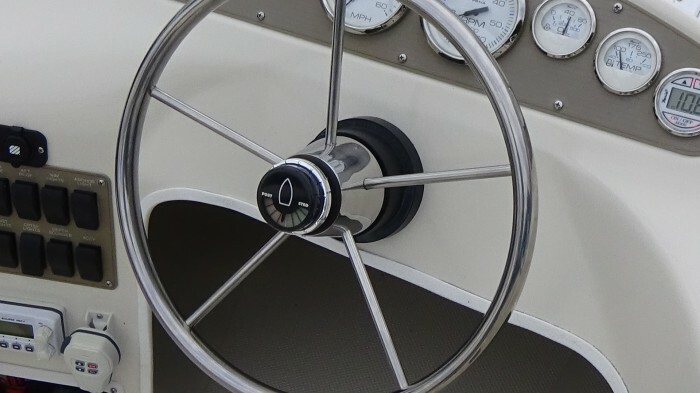 The indicator case is attached to the ship wheel by means of a mounting case; the mounting case being attached to the ship wheel using an adhesive. The indicator case is rotatably positioned into the mounting case and is stepped, such that the indicator case can be locked in and out of position to calibrate the angle indicator. 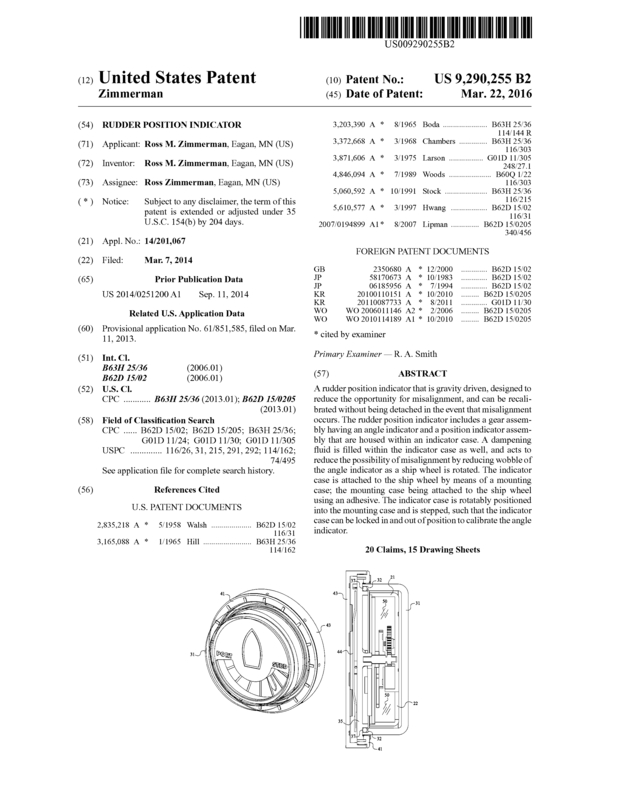 Page created at 2019-04-25 18:21:42, Patent Auction Time.